2 nights at Crescent Lodge - a centrally-located and popular victorian-style upscale country Inn. 4 star restaurant on-site. B and B style room Queen Bed with private bath. Friday night Comedy Murder Mystery Dinner Theater at The Historic (and spooky) Tannersville Inn, (Dinner and Theater for 2). Drinks and tips are not included. 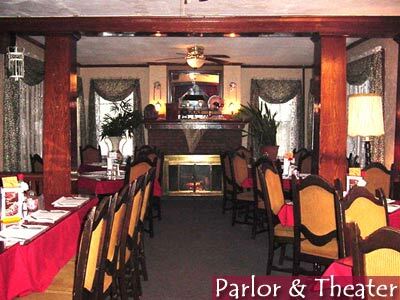 Comedy Murder Mystery at the Tannersville Inn: Every Friday night the Parlor is the scene of a murder - and everyone's laughing about it! That's because it's the Comedy Murder Mystery Dinner Theater, where the guests become the victim, the detectives and even the accused. You will need reservations to participate. Like to have an affair for friends or family? The parlor is available! This is really a PoconosBest fun weekend getaway!